Are your kids running circles in your house? But it’s too hot or cold or raining? 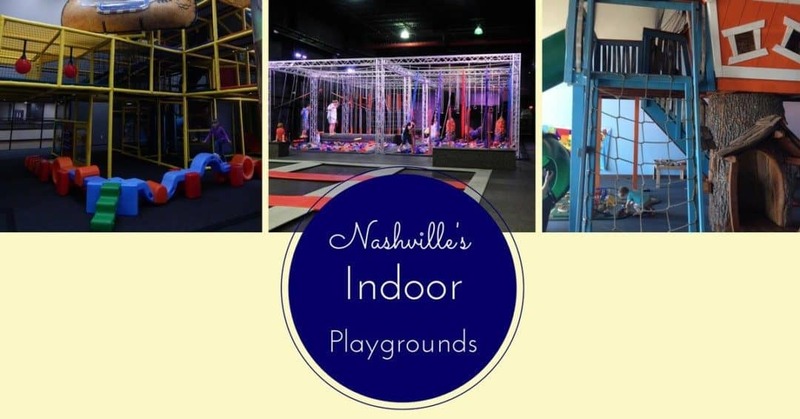 Take them to one of Nashville’s indoor playgrounds! We found places for all ages all over Middle Tennessee. Bookmark this page to reference it next time you want to get out of the house. These playgrounds are FREE to enter and play. Perfect for a rainy or cold afternoon. Cornerstone Indoor Playground (Map) – HUGE indoor playground plus a separate area for 3 and Under. Tennessee State Museum (Map) – This free museum opened in 2018 and has a Children’s Gallery geared at kids ages 3 – 8. Old Bellevue Library (Map) – This is a temporary indoor playground, but it is currently open Monday – Friday from 9 AM – 5:30 PM. Rumor has it this building is the temporary community center until the new one opens in October 2019. If you are making a special trip, give the new library a call (615-862-5854) to verify this is still open. Downtown Library (Map) – The children’s section of the downtown library is home to a playscape and small climbing wall. 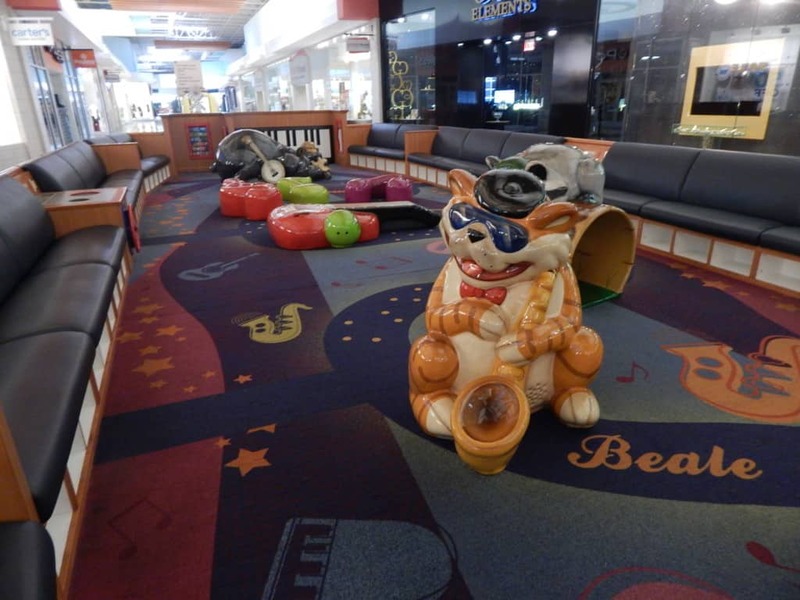 Opry Mills Mall Play Area – This small play area which is good for younger children is located in front of Children’s Place and features interactive musical instruments. Charging stations and adult seating is available. Chic Fil A – There are 12 restaurants in the Nashville area with a playground. Find the closest to you HERE. Adventure Science Center (Map) – A HUGE 5 story climbing structure large enough for adults. 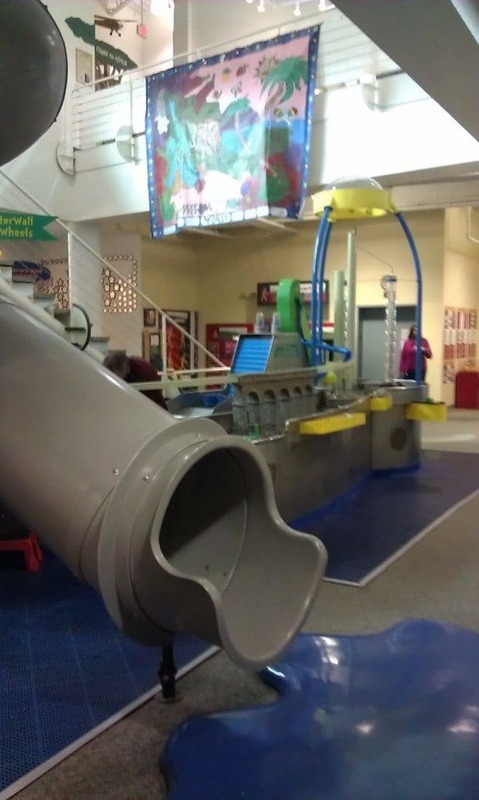 Smyrna Outdoor Adventure Center (Map) – The Adventures are indoors too! Click HERE for the schedule and admission prices. First Baptist Church Hendersonville (Map) – The playground is part of the church’s family ministry center. To access the accompanying adult must purchase an annual membership (which includes gym amenities for $120/yr) and children 11 and Under are Free. Monkey’s Treehouse – (Map) – Geared at younger children (8 and Under) it is $9.00/child to play. My Gym Brentwood (Map) – Weekly Open Play available. Check the schedule HERE. Mpact Sports (Map) – Offers open play for three different age ranges. Check the schedule and prices HERE. Shining Light Gymnastics (Map) – Offers open play. Check the schedule HERE and call for more details. Discovery Center at Murfree Spring (Map) – Great children’s museum that has several play areas. 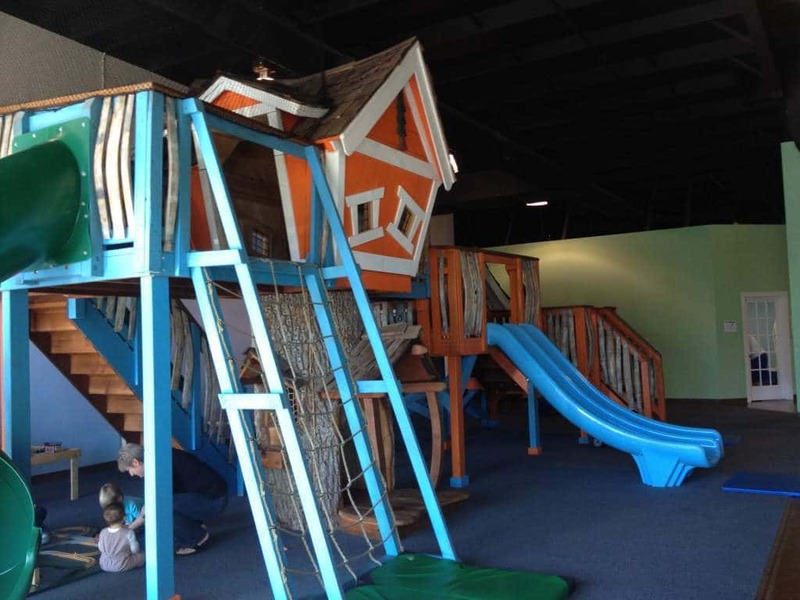 Rock Zone (Map) – Rock Zone, in Mt Juliet, now offers Open Play hours! Check the schedule HERE and call for more details. 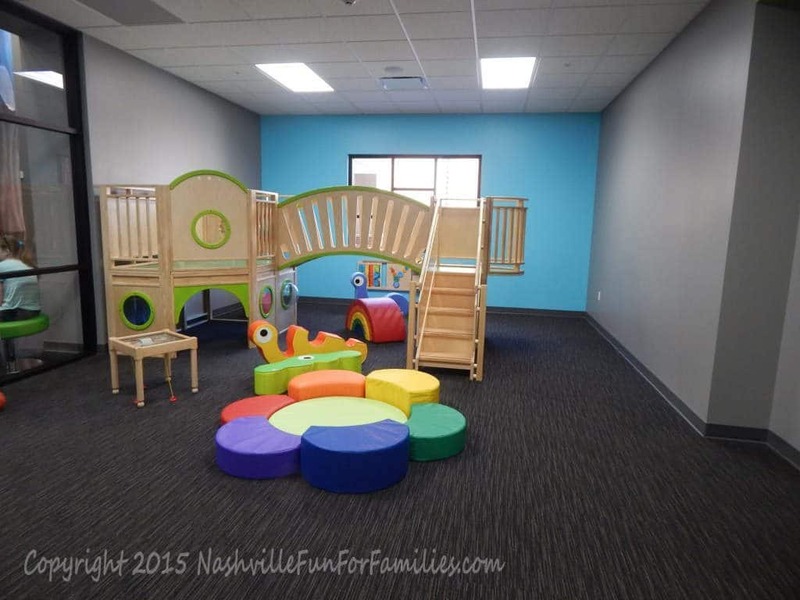 Tennessee Toddles (Map) – This indoor playground is geared toward younger children (infants to preschoolers) in Fairview. Click HERE for the hours and pricing. Pump It Up Mt Juliet (Map) Open play available. Check the schedule HERE. $8/child, $4/walkers under 2. Pump It Up Brentwood (Map) Open play available. Check the schedule HERE. $8/child, $4/walkers under 2. Monkey Joe’s Rivergate (Map) Open daily for open play. $9-$10/child depending on the day of the week. Hoppity Hop Inflatable Play Center (Map) Open play schedule HERE. $9/child 4 and over $7/child 1 yr to 3 yr. Bounce U Murfreesboro (Map) Open play schedule HERE. $7.95/1st child, $6.95/siblings Check schedule for discount days. Sky High Sports (Map) Open jump schedule HERE. $14/hour, see the schedule for discounted times. Jump Street Rivergate (Map) Open jump schedule and pricing HERE. Jump Street Franklin (Map) Open jump schedule and pricing HERE. Jump Street Murfreesboro (Map) Open jump schedule and pricing HERE. Above All Extreme Air Sports Brentwood (Map) Open Jump Schedule and pricing HERE. Altitude Trampoline Park (Map) – Located in Hermitage, you can find their open jump schedule and pricing HERE. Urban Air Trampoline Park (Map) – Also in the Hermitage area, open jump schedule and pricing can be found HERE. Tito’s Playland (Map) – Located inside Plaza Mariachi, Tito’s has an indoor playscape and arcade. Game Galaxy Arcade – located in Rivergate Mall and also in Smyrna, this arcade is one price and you can play all day. Flashback Arcade – play all your 1980s favorite arcade games for one price in Murfreesboro. The Rabbit Hole VR (Map) – Book some time and play virtual reality games. Kids must be 8 years or older to play. Dave & Busters– located in Opry Mills Mall, Dave & Busters is an arcade for kids and adults. Holder Family Fun Center – play laser tag and indoor glow golf plus an arcade! LaserQuest (Map) Schedule and pricing HERE. Thanks for the information. I wanted to pass along that it says Kids’N’Play is now closed when I tried to get more information about them.